English Teacher On The Loose: Books vs Movies! Reading Awareness Month. Books vs Movies! Reading Awareness Month. Why is it that many students have this READING=STUDYING=BORING equation in their heads? This month is National Reading Awareness Month so I'm challenging you to READ something! Anything! A classic, a sci-fi novel, a biography, a comic book, a book of poems, the newspaper in the doctors surgery! ANYTHING! If you don't know where to begin try exploring these! Reading is a form of ESCAPE or a way to DISCOVER the world around you and certainly a way to let your IMAGINATION RUN WILD! When I was a kid, I read anything and everything I could lay my hands on. If you don't read you are missing out! How many times have you wished you knew what someone was thinking? 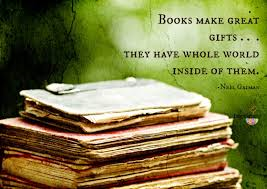 Books are magic because when you start to read you are looking inside the author's/narrator's head! Now I know that there are those of you who say "Well why should I read the book when I can watch the film?" The Guardian recently published a list of the best book-to-film-adaptations. I'm sure you'll be able to add another ten favourites to this list but if you ask me books win hands down every time! Below are a few reasons why. You understand the characters' emotions because everything is explained in detail. There is no need to think, movies are passive entertainment. Perfect for couch potatoes! There is no need to use your imagination, everything is done for you. After all, dreaming is such a bore! There are special effects and music to enrich the story. Like words have no power, right? So what are you waiting for? Go read a book! Not convinced? How about some worst book-to-movie adaptations!